It’s just four days until the big day - our trees are up, the food is ordered, and both children and adults are suitably excited. However, if you’re like us at The Amazing Blog, then you may still be on the hunt for some last minute presents, or a few Christmas tipples to add to your festive drinks cabinet. For our final blog post of 2018, we bring you our top Christmas spirits, helping you to become a stellar host, whether that be for Christmas Day itself, or perhaps even for the New Year. Firstly, we came across Pedrino, the brand bringing Mediterranean flavours to the aperitif market. 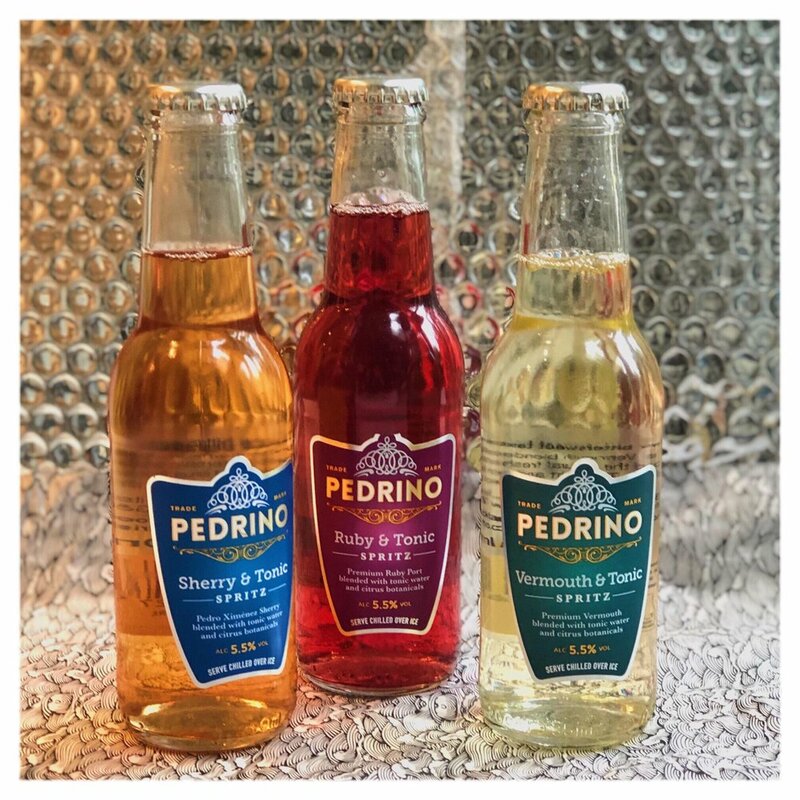 Taking inspiration from Spain, Portugal and Italy, Pedrino’s three tonics are the ideal gift for an aperitivo lover or a great addition to your dinner party drink’s cabinet. We tried all three - Sherry & Tonic, Ruby & Tonic and Vermouth & Tonic, and were pleasantly surprised by their light and refreshing nature. Thanks to their low alcohol content, at 5.5%abv, these drinks are perfect as a pre-dinner tipple; only strengthened by the use of all-natural and carefully proportioned ingredients. While they are delicious when consumed on a hot summer’s afternoon, we found these tonics particularly apt for the Christmas period too. Given that sherry and port are often consumed in the colder and darker months, we were pleased to find a lighter alternative. All three are handmade with citrus botanicals, giving freshness and depth. Equally, only the best and award-winning fortified wines are used, alongside good quality tonic to ensure that your guests (and yourself) will not merely be given a watered down spirit. Our favourite? As port lovers, we loved the Ruby & Tonic, especially when drunk over ice and served with a garnish of lime. That said, it was hard to choose, and the other two closely follow. The bonus though, is that they need only to be served over ice (with a garnish if you’re feeling fancy). If this sounds just the tipple, then you can purchase these aperitifs from Waitrose at just £1.95 per bottle. Click here to see for yourself. If you’re more of a rum lover, then let us introduce The Duppy Share. Founded by George Frost, the brand brings the essence of the Caribbean back to London, with a focus not just on the Jerk seasoned food and reggae music, but on the nation’s love for rum. Made from a unique blend of fiery Jamaican rum and smooth Barbadian rum, this spirit is both bold and tropical. For those less inclined to go for rum, rest assured that this was a hit across the office, so much so that we were flipping coins for who could take the remainder of the bottle home! We’re also not the only lovers of this brand, as The Duppy Share was the official sponsor of the infamous Notting Hill Carnival in the summer, testament to the brand’s ethos and high-quality product. The use of a traditional copper pot still gives the Jamaican rum its poignancy, aged in old white oak bourbon barrels and utilising the perfect weather conditions to increase the rate of ageing. On the other hand, the Barbadian method of continuous and pot still distillation gives notes of caramel - which when combined, gives this dark rum a deep, yet refreshing flavour. We like to drink this 3-year-old rum with the classic lime and soda, allowing the rich flavours to take over. However, for a more fiery approach, we also enjoyed it with a high-quality ginger beer and wedge of fresh lime. To bring the Caribbean to your Christmas, then visit The Duppy Share website here where you will find a 70cl bottle for £27.50. Alternatively, you will find this product in many good supermarkets, well worth the crowded rush! For many of us, the festive season means it's time for bubbles, so we were thrilled to discover Sparkle Drops. This brand brings a vast range of fruity flavourings to your alcoholic beverages - particularly effective when added to something bubbly. Adding a lovely shimmer to your drinks, these drops are equally effective when mixed with gin and vodka, also giving cocktails a little extra pizzaz. We were fortunate to try two of their sets, the Unicorn Collection and the Gin Collection. The Unicorn Collection contains three 10ml bottles, with Golden Passionfruit, Blue Raspberry and Pink Cherry flavourings. Our favourite was the Golden Passionfruit, which is pleasantly fruity, and thanks to the gorgeous shimmer, will not look out of place on your festive dining table. That said, the other flavours were close contenders, the Blue Raspberry is particularly striking, and the Pink Cherry adds a pop of sweetness to drier proseccos. Equally, as gin lovers, we were thrilled to try the Gin Collection. This consists of a further three flavours: Silver Elderflower, Green Lime and Rose Gold Rhubarb. It's difficult to choose a favourite here, but as the Rose Gold Rhubarb transported us back to our rhubarb and custard days at the local sweet shop, this perhaps edges above the others. That said, the Silver Elderflower adds a classic flavour to our standard G&T and the Green Lime brings a much needed citrusy zing to combat rich Christmas foods. To use either collection, add a couple of pipette-fulls to your glass, and top with something bubbly. Each bottle will make 6-8 125ml glasses sparkle, and they need not only be mixed with alcohol, as we found the Silver Elderflower worked particularly well with sparkling water. 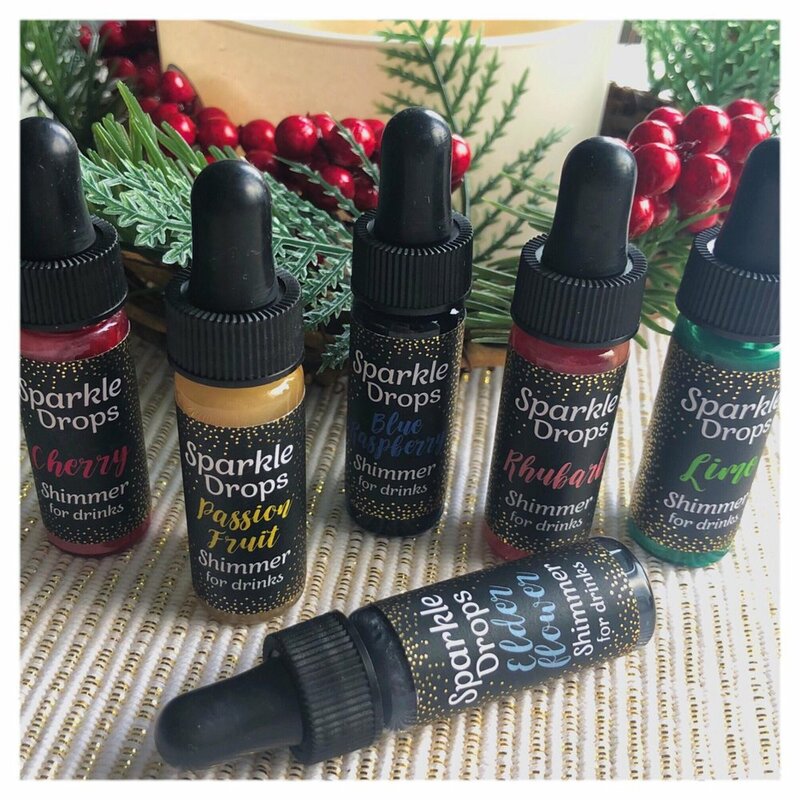 To add a bit of shimmer to your festivities, then visit the Sparkle Drops website here, where each collection is available for £10. Finally, we discovered the perfect after-dinner tipple from La Mere Wine Estate. Based in Jersey, and established in 1972, La Mere provides heritage products with the use of local ingredients. The company is also established as a Green Tourism Gold standard attraction, in line with adhering to 20 specific actions, designed to promote sustainable tourism. These include controlling energy consumption and water usage, so we were intrigued to try their Jersey Apple Brandy Cream Liqueur. Blended with the use of Jersey dairy cream from local island herds, the Jersey Apple Brandy Cream Liqueur also consists of locally distilled Jersey Apple Brandy - creating a deliciously creamy and rich combination. Thanks to the use of aged brandy, the flavour is warm and uplifting, ideal for the festive period. Equally, with the use of dairy cream, the texture is smooth and velvety, adding depth and thickness to this tipple. We found this is best enjoyed over ice, however, we’ve become quite partial to this liqueur when drizzled over a vanilla ice cream - perhaps it may even work well with Christmas pudding! To try the 17% ABV Jersey Apple Brandy Cream Liqueur for yourself, then click here, where you’ll find this tipple for £17.50. So there you have it, four new brands to try this Christmas or New Year. Whether you’re looking for a pre-dinner aperitif, a warming rum, or an after dinner night cap, we’re sure you’ll find something to encourage a little extra festive spirit. As our last blog post of 2018, there is nothing left to do but put our out of office on, wish you all a Merry Christmas and grab a glass (or two) of something nice!